When Leean submitted to us their DIY video saying that there were no videographers and editors who worked on their video, with no assistance even from friends whatsoever, we had our doubts to be honest. In our minds we were thinking, "uh-oh...what is this going to look like?" 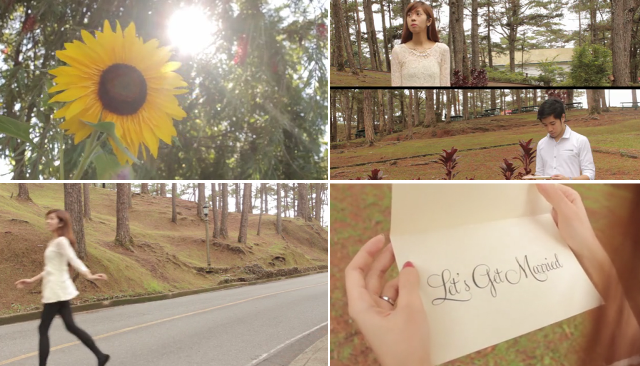 -- But we were quite pleasantly surprised at how cute their video turned out to be. And not just cute...it was well made! Leean and Jonathan definitely had the eye for this! You guys might want to make it into a little business haha. from Leean Basa on Vimeo.